Mutant Chaos - Millennial Monster version, originally uploaded by datadub. The Millennial Monster series is back after a brief hiatus. 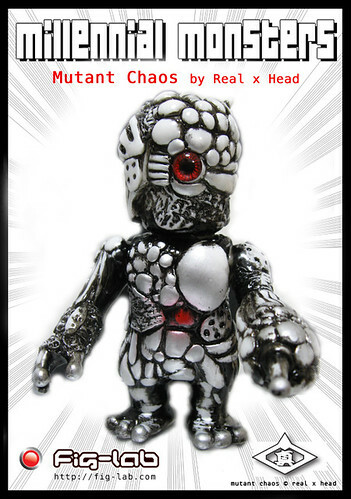 Mutant Chaos by Real x Head is one of the top classic original monsters to come out of the Japanese Indie Vinyl scene. This edition will be debuting at the GFS2010 Crossover Exchange at Booth #4937. Fortune Cat Baby - Kurozake "DON"